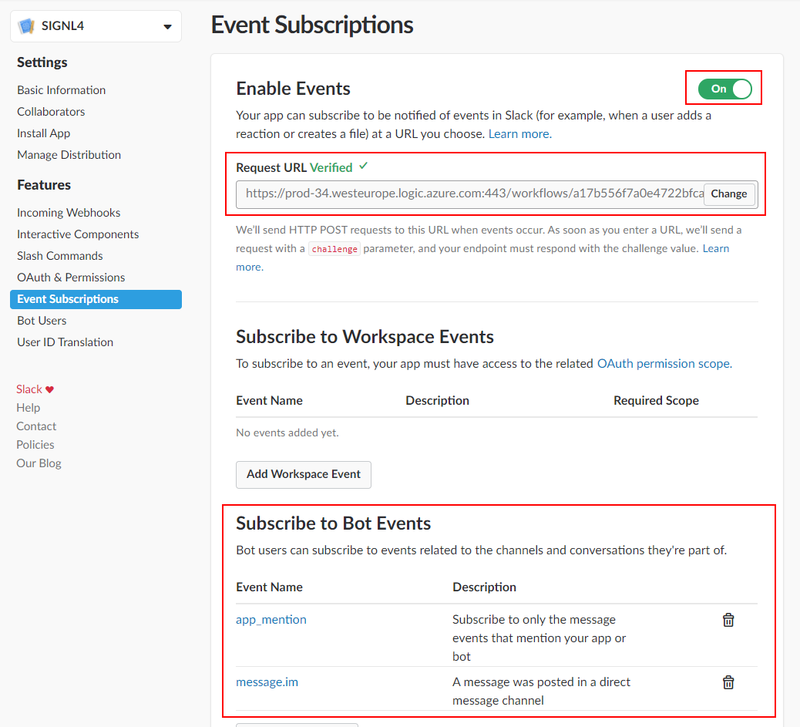 the Slack EventsAPI (https://api.slack.com/events-api). 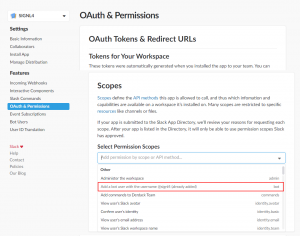 This API forwards desired messages/information from Slack to a remote HTTP endpoint (Webhook). The setup is described in more detail below. Let’s start with the proxy. Let’s continue with the scopes for the permissions of the new app. 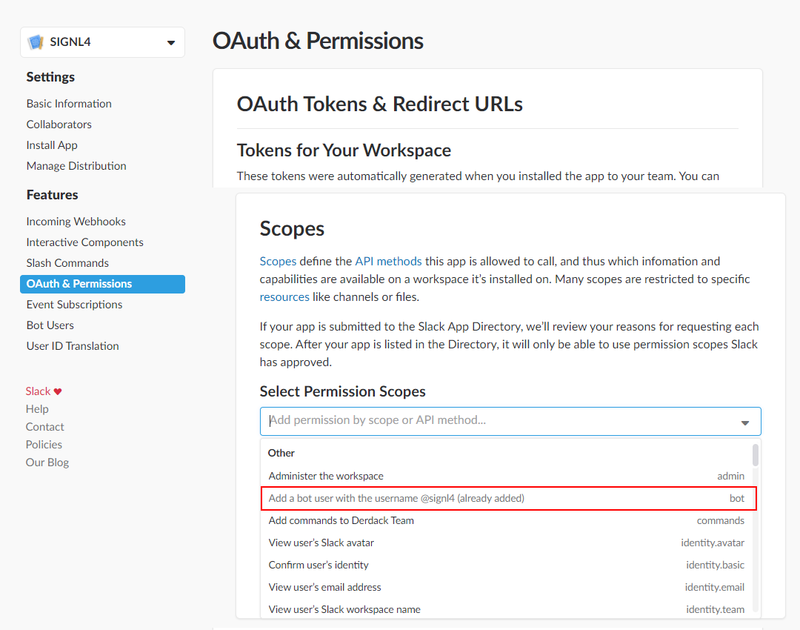 Select the menu item “OAuth & Permissions” in the menu of the app settings, then scroll to the area “Scopes”. 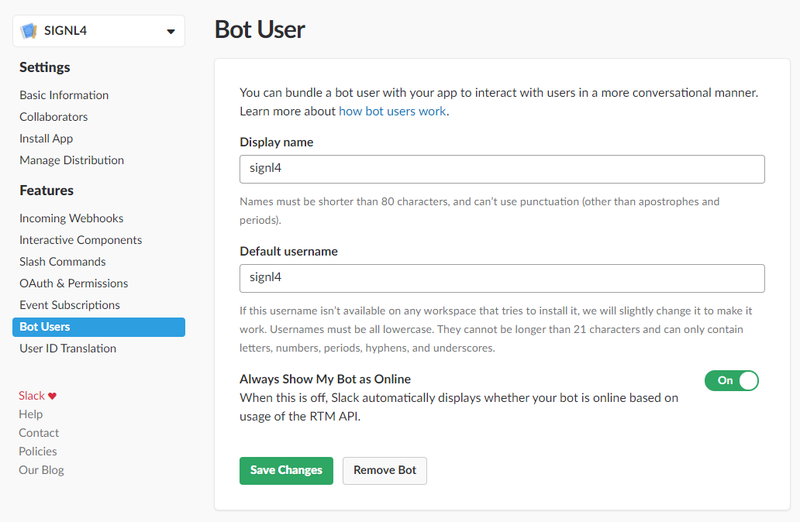 Your new SIGNL4 app only needs the scope of the bot user you just created. To do this, select the scope “bot”. 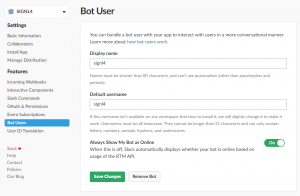 If you have not yet created the bot user at this time, it is also possible from this point and then the scope is defined for it automatically here as well. Finally, you only have to select the events you want to forward to your SIGNL4 team. Select the menu item “Event Subscriptions” from the App Settings menu. First activate event forwarding via the on/off switch. Next, enter the URL of your flow or zap HTTP trigger. 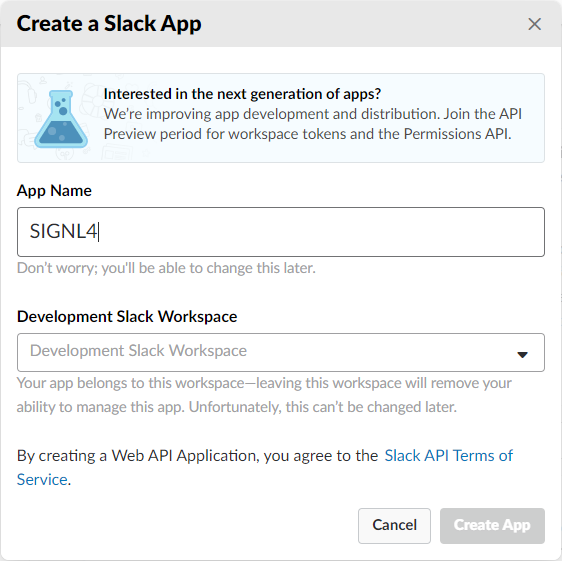 The webhook of your SIGNL4 team cannot be entered here directly, because it will not respond to the validation request of Slack with the challenge. 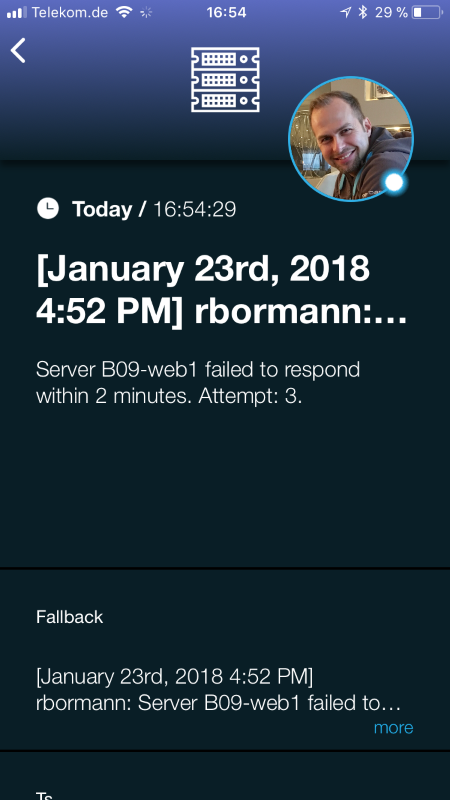 But as soon as your zap/flow has returned the appropriate response, the text field turns green. 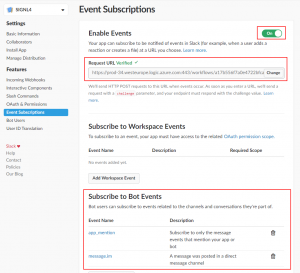 Scroll to the “Subscribe to Bot Events” section on the same page. Here you select the events to be sent to SIGNL4. I chose “app_mention” and “message. im” in particular. 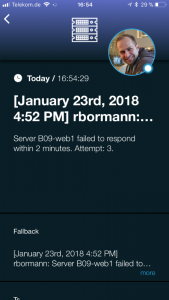 This allows me to easily send all relevant messages to SIGNL4 which are received in a monitoring channel, for example by sharing these messages with the SIGNL4 Bot user. 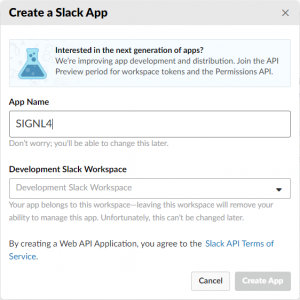 Finally, all you need to do is adding your new SIGNL4 app to a desired channel where your relevant messages are received. I did this by sharing a message with the SIGNL4 Bot user, so I could add the whole app there. 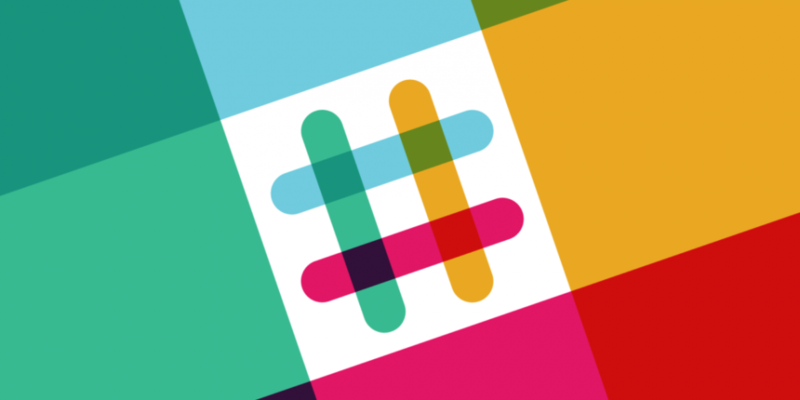 Here comes a Consent Grant dialog, i. e. you have to allow the app to access your Slack team.